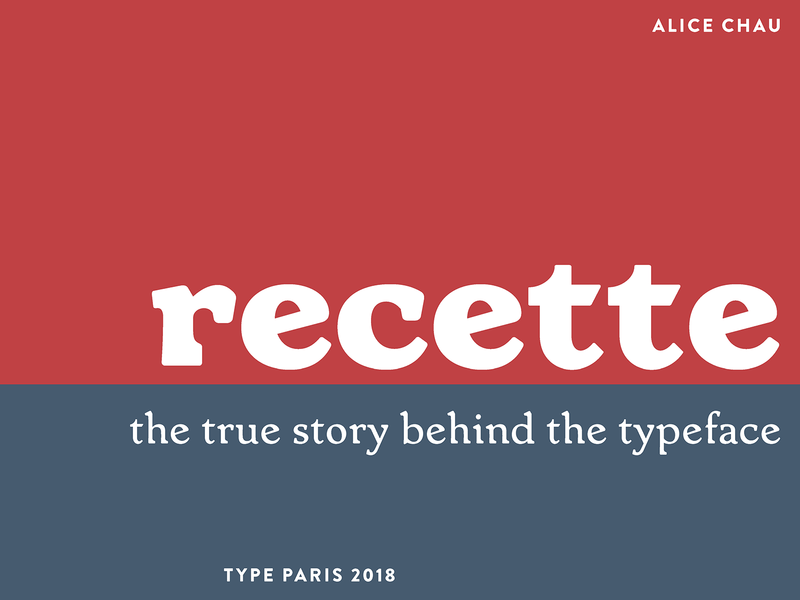 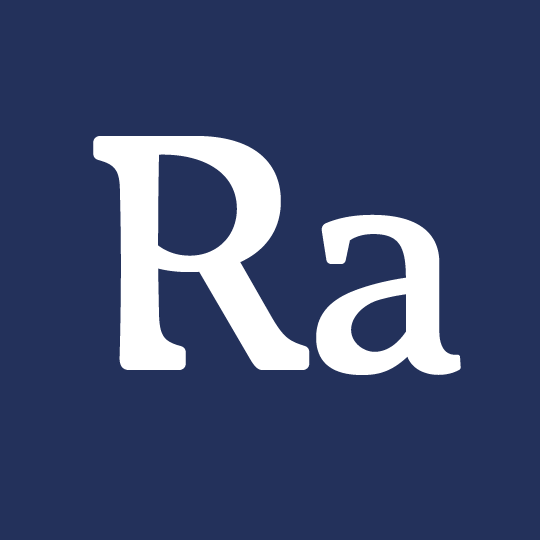 Recette is a book-friendly slab serif. 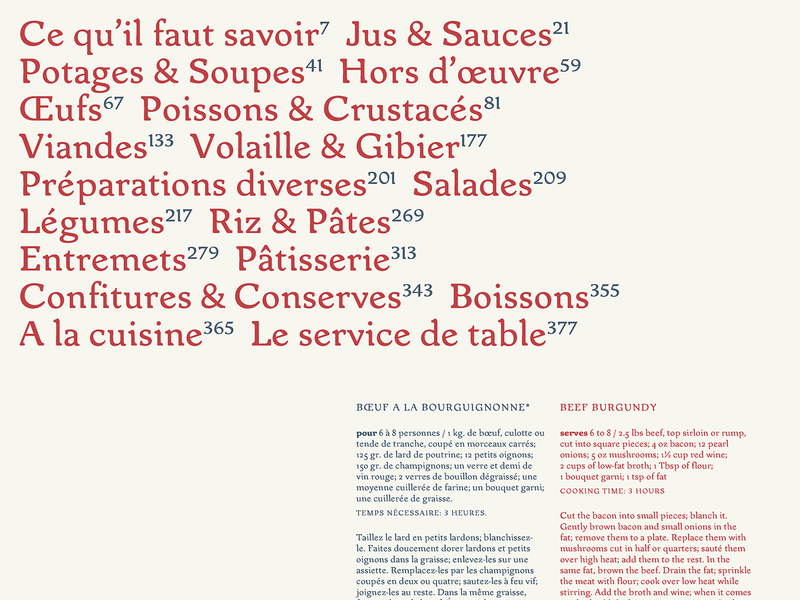 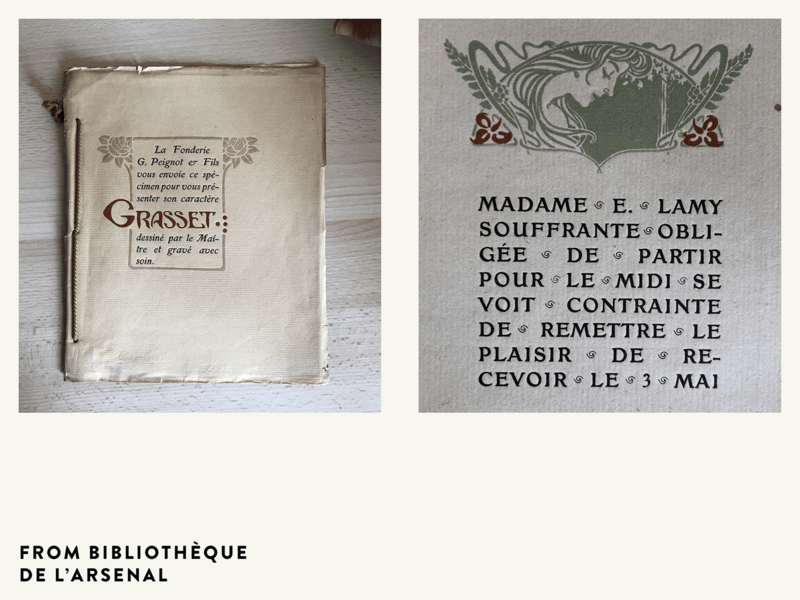 Inspired by a classic French cookbook from the 1920’s (La Bonne Cuisine de Madame E. Saint-Ange), it retains just a hint of its Art Nouveau origins with slightly flared asymmetrical serifs and rounded features. 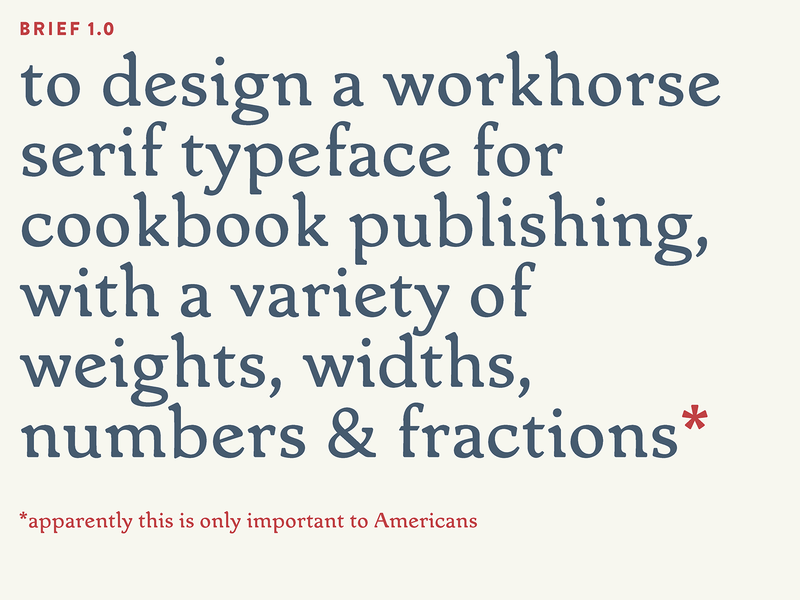 It is intended to be a workhorse typeface for publishing, with a wide variety of weights, widths, numbers, and expert features. 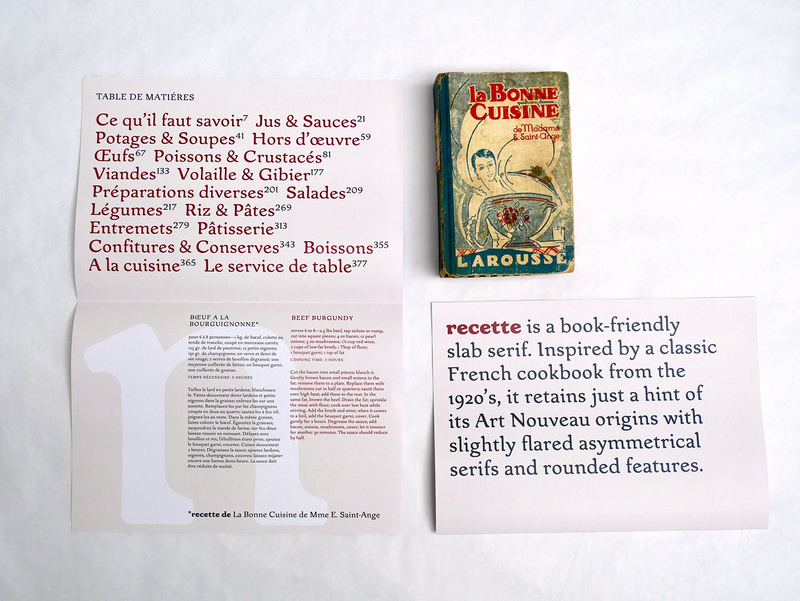 My experience with book design, specifically cookbooks, made me keenly aware of issues surrounding the design and typesetting of recipes for printed matter. 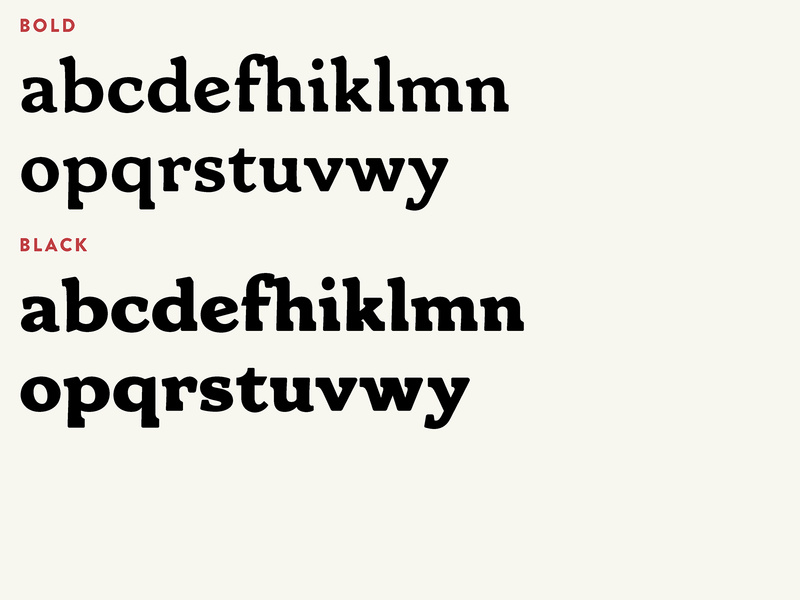 I knew that having a full set of numbers and fractions would be important, as well as making sure that the letters work well next to both lining figures and oldstyle figures. 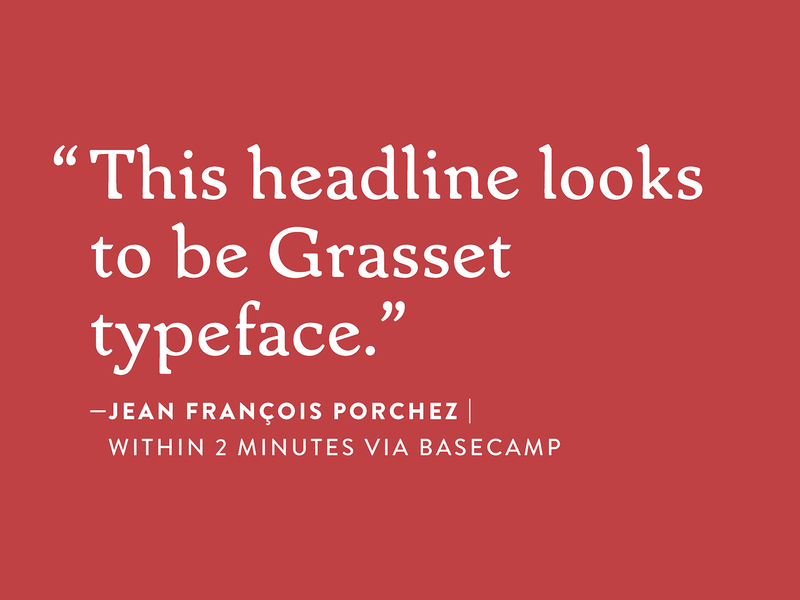 Thank you to all of the instructors and guest critics of TypeParis for teaching us how to see letterforms in a deeper way. 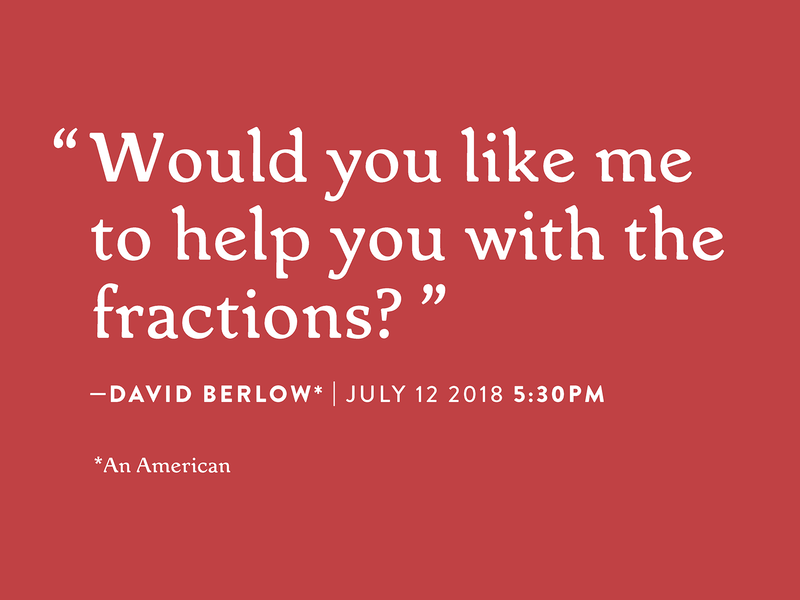 I’ve learned so much about legibility and the history of writing in a addition to the basics of weight, contrast, and rhythm, all of which are so important to type design. 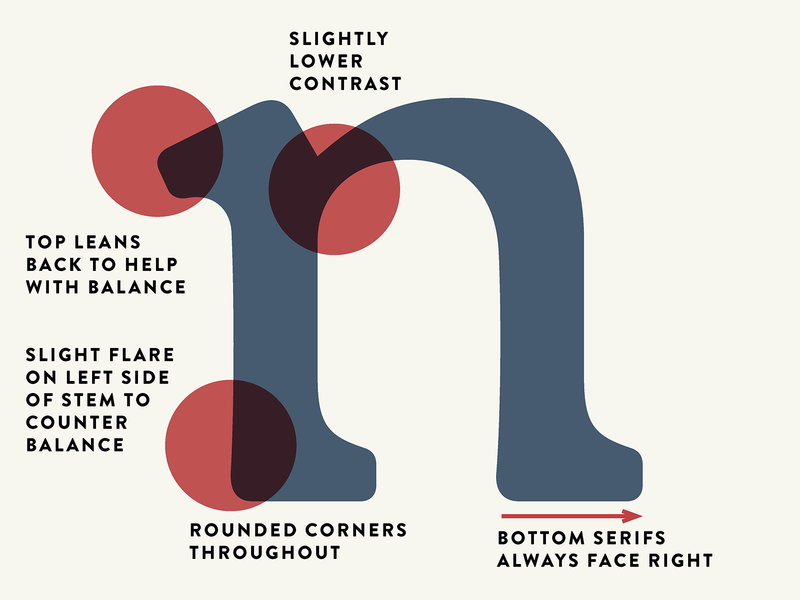 I know this experience will be helpful to all of us as we continue designing, whether we end up becoming type designers or not! 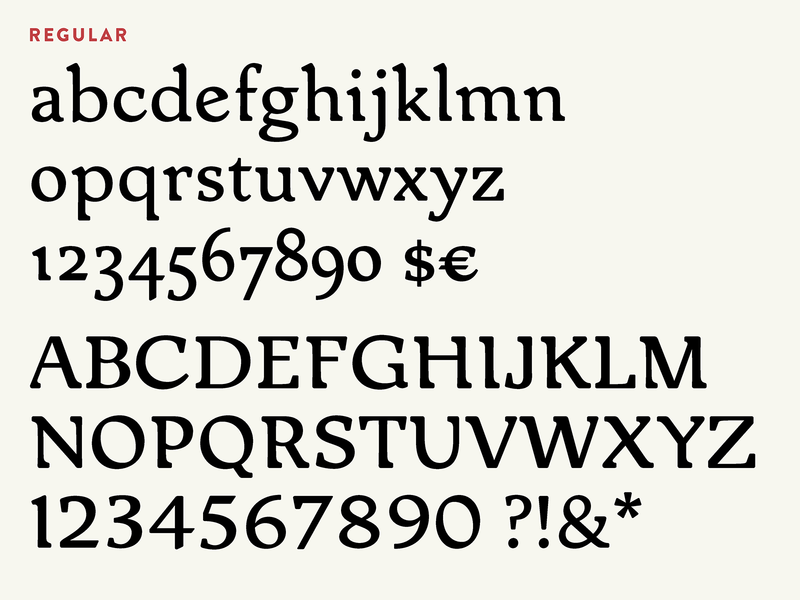 The printed specimen designed for this typeface.